All the military funding in the world won't be able buy fuel when the world's oil supplies are depleted. So the U.S. Army has commissioned a new hybrid electric tank that's not unlike a war-friendly version of the Prius. 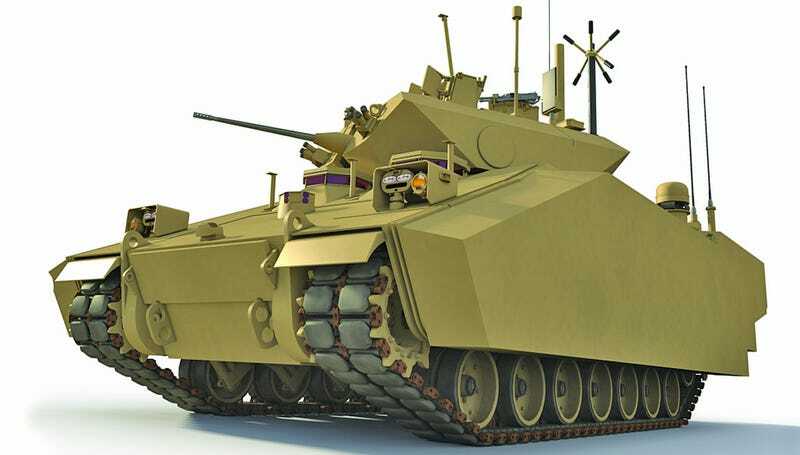 It's being designed and built by BAE Systems working with Northrop Grumman who just released some renderings of the GCV, or Ground Combat Vehicle, confirming that it does still indeed look like a badass tank. Like the Prius, and other vehicles that use a hybrid electric drive, the GCV should provide longer operating times between fill-ups, which is particularly important when the vehicle is deployed in remote areas, away from readily-accessible supply lines.